Found 3 file extension associations related to EverQuest and 3 file formats developed specifically for use with EverQuest. Welcome to EverQuest - the online game that started it all! No other MMO matches EverQuest's content that includes 18 expansions, plus the original base game. Now, in its unprecedented sixteenth year, EverQuest continues to add immersive gameplay, captivating storytelling and exciting worlds full of mystery and adventure. EverQuest is Free to Play. Join a thriving community unlike any other online game, immerse yourself in hundreds of unique zones, battle thousands of creatures, and complete exciting quests. Group with friends and experience an online game the way it should be, epic and legendary. 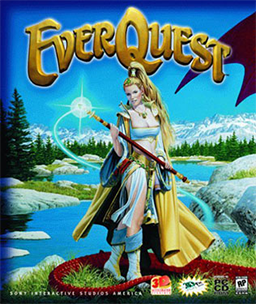 If you need more information please contact the developers of EverQuest (Sony Corporation), or check out their product website.